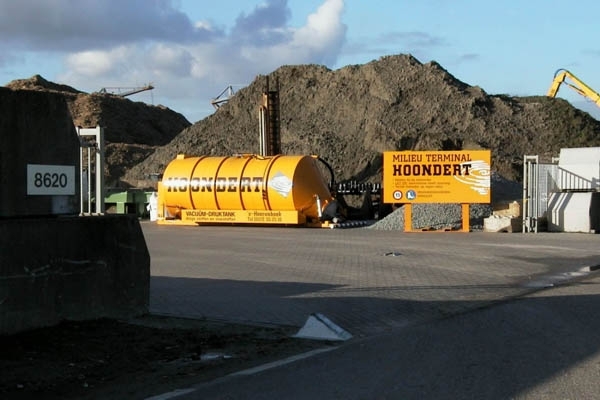 Environmental Terminal – Hoondert Groep B.V. Cleaning of ships, both inside and out. Marpol Annex 1, 2, 3, 4 and 5 and all types of ships’ waste. Carrying out emergency repairs to ships (calamities). Activities as a result of calamities. Storage and transhipment activities on the quay or the pontoon. Because of the diversity of activities, their project approach, and the changing needs from the market, the terminal needs to be operated in a flexible way. That is why environmental permits allow for a certain amount of flexibility. The Environmental Terminal has all the necessary permits according to the Pollution of Surface Waters Act (WVO) and the Environmental Protection Act (WM).